Did you know a debit card with a credit card logo could allow a thief to drain your bank account, without your pin number? –And you’d likely have to fight the bank to get your money back! When you use your bank card for a debit transaction you have to enter a 4-digit security code, but when you select the credit option, your debit card can be used to make purchases without entering your PIN number. This means a thief could potentially use your lost or stolen debit card to buy stuff and drain your checking account before you realized your card was missing, especially if you’re one of those people who waits for a monthly statement to check their balance. 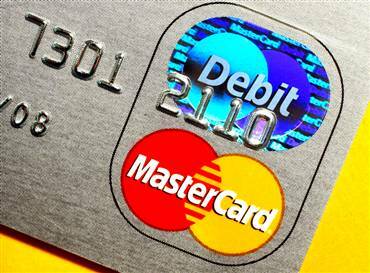 What most people don’t realize is that debit cards do not give you the same guaranteed protections as credit cards. For example, if you report a credit card stolen within 60-days, Federal law says you can only be held liable for a maximum charge of $50 for unauthorized purchases. If a debit card is stolen, you must report the fraudulent use within 48-hours, or you could be liable for the full amount. Even if you report the stolen debit card immediately, it could be weeks, even months, before your bank verifies you’re a victim of fraud and returns the money to your account. So let’s say a thief drains your checking account, and maxes out your back-up credit line. –All of the money is gone until your claim is investigated and the bank agrees to reimburse the cash. To add further insult to injury, you could be dinged with any bounced-check charges and you’ll have to deal with the red tape of opening a new checking account and repairing any resulting damage to your credit. One more caution about your debit card: It’s not the best card to use for large transactions. Here’s why: Federal law gives you the right to withhold payment on defective items or services purchased with a credit card, assuming you did your best to resolve the dispute with the merchant. Debit cards do not offer the same protection. Personally, I carry a debit card that does not include a credit card logo, but I had to make a special request to get it because most banks automatically include the money-making credit option. I also carry a separate credit-only card; one that pay me a 1% cash dividend on purchases, which my bank would never offer. Call your bank immediately to report a lost or stolen debit card. Complain by phone and in writing to your bank as soon as you notice any transactions on your statement you did not authorize. Ask the bank for a copy of your rights in Electronic Funds Transfer Act (Regulation E) disputes. Get the full name of the people you speak with at the bank and document the dates of your conversations. If you have a debit card, set up a separate fund to cover emergency expenses in case you have to function without access to your checking account. For backup, send a copy to the consumer rights group called PIRG. Jennifer is the creator and producer of OC Crime Catchers.